I am obsessed with photographing the Lutheran church in New Sweden. I can't pass within 20 miles of it without diverting my route and driving by it. I was certainly glad I did so on this night. 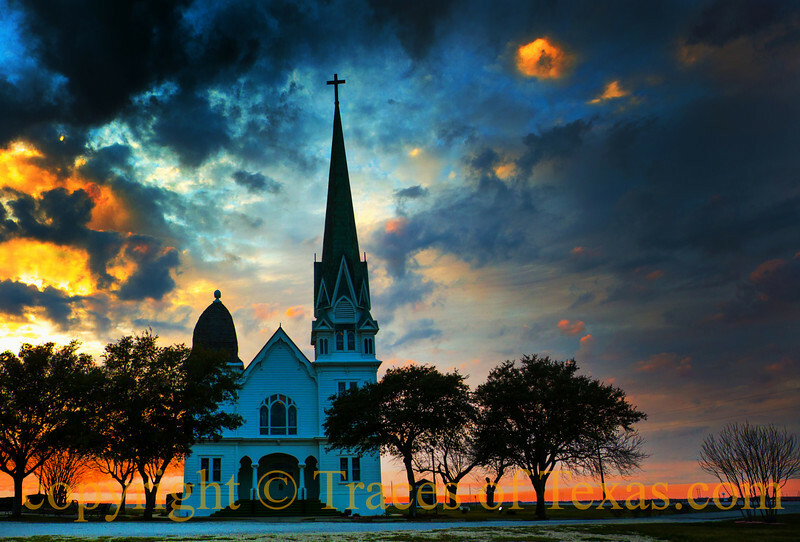 This church photo just touches my Texas heart, and I haven't even been there in years! I will order a copy within the next month, because I simply have to have it! Thank you for such a lovely picture, it soothes my soul!